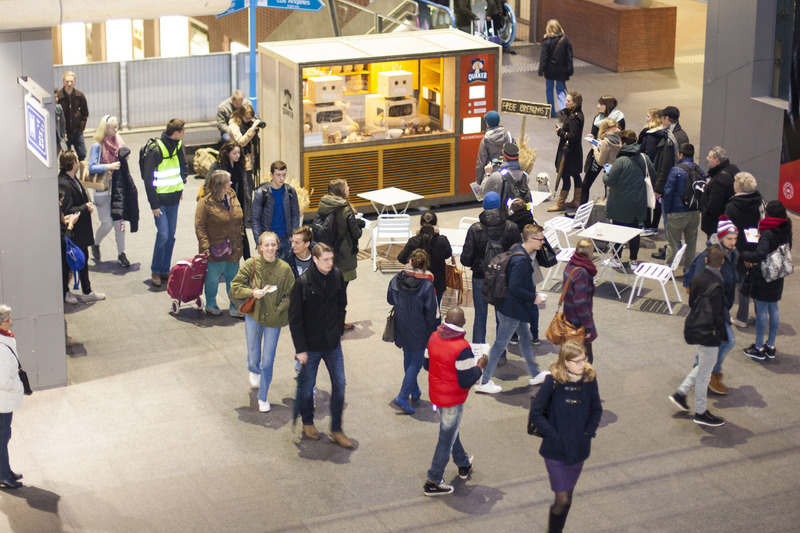 Remember food trucks? 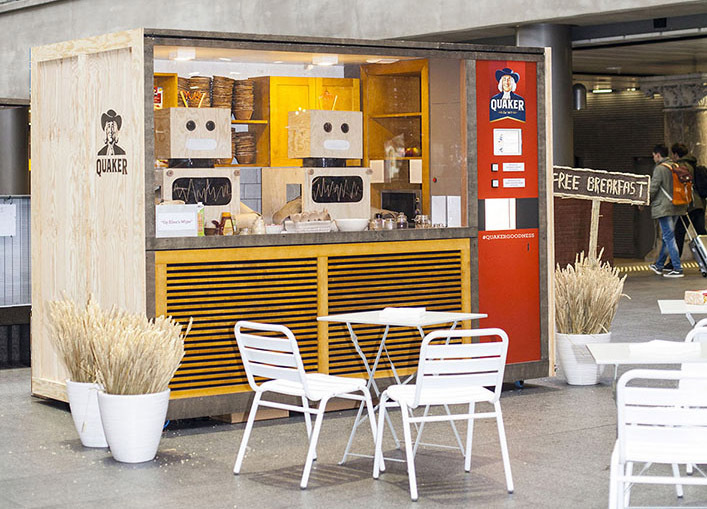 Now there are breakfast bots. 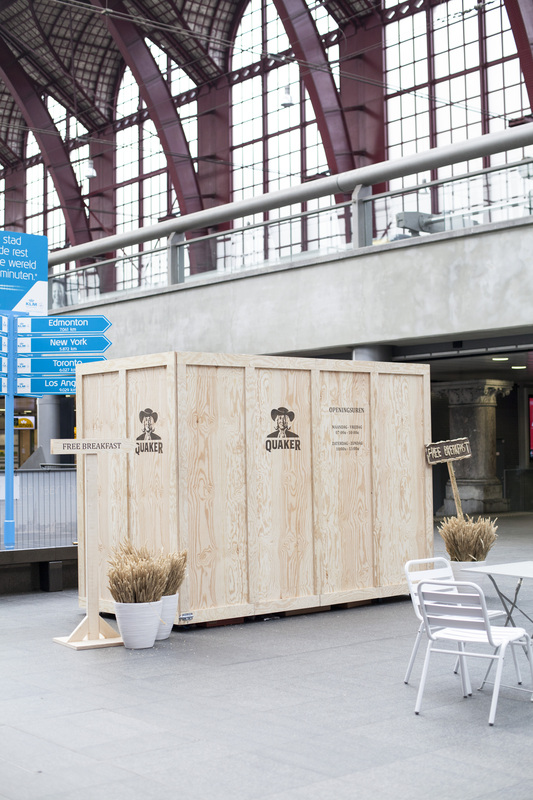 This ‘breakfast bot’ is serving free Quaker oatmeal breakfasts in Antwerp Central Station. Select your recipe, press the button and within 3 minutes your fresh and healthy breakfast is ready. Every day it prepares 2 different recipes, from chefs, food bloggers and oatmeal fans. People, breakfast is the most important meal of the day. A lot of you eat the same thing every morning or even skip breakfast. 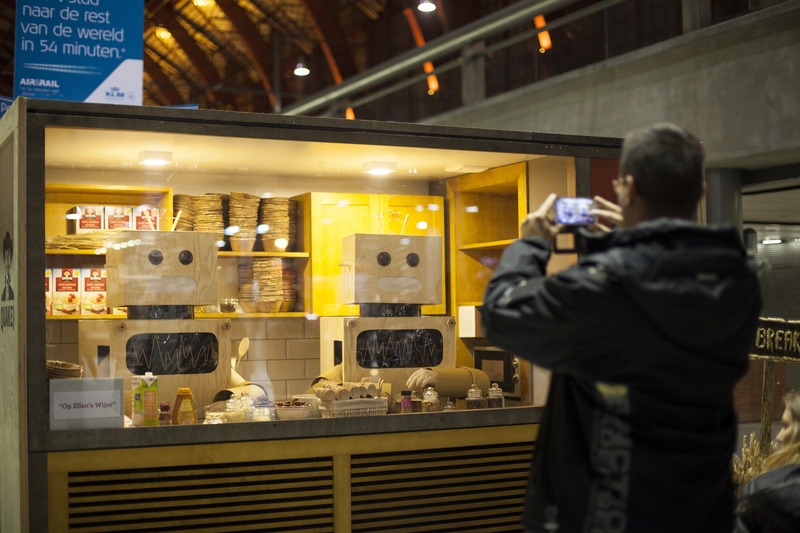 This bot is created with the help of Quaker oats Belgium. They show us how to make and have a healthy & tasty breakfast every day, in just a couple of minutes. Didn’t hear your alarm clock? No time for breakfast? Missed your bus? Traffic jams everywhere? Monday mornings can be stressful. Quaker oatmeal wants everyone to have a great start of the day and week. That’s why they introduce: the breakfast-in-bed-boat. A peaceful and relaxing way to go to work. Just get back in bed, have a good and healthy breakfast, read the paper, have a little nap and you’re ready to go and #keepthegoodnessgoing . So no more traffic jams, honking cars and red traffic lights for you. 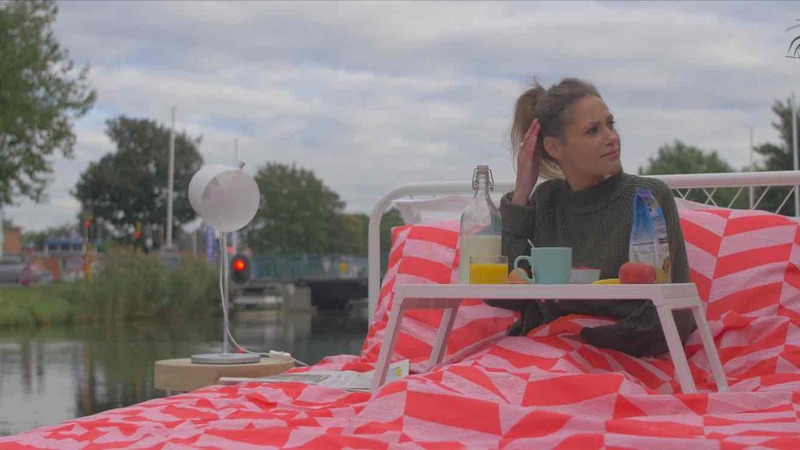 Let the Quaker Oatmeal breakfast-in-bed-boat float you to work.